Pours amber tending to copper with loosely packed collar of foam. Aromas are dominted by passionfruit (esb or apa?) with some hinting caramel malt. Palate is relatively light, more tangy fruit (passion/orange) supported by resin/pine hop characters. 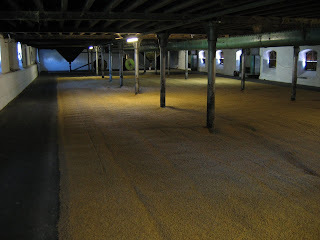 Malt is there, but very much a supporting role. Finish is long and with lingering resiney bitterness. Really pleasant drink, more like a full fledged apa though. Pours a hazy deep gold with a substantial snow white head. Aromas of banana and spice dominate. Palate is rather mild, some lemon and banana fruit present with perhaps some crystal malt adding a degree of sweetened apricot, also some warming alcohol driven spice. Carbonation is lively, which gives impression of dry finish (as required by the style). Poured muddy brown with small off white head that dissapated slowly. Aromas are dominated by banana and clove notes with caramel and chocolate present also. Palate is quite full, sweet caramel/toffee malt provides body, while fruity esters chime in late. Also seems to be hintings of panatone, (sweet bread, caramel, sultanas) which i find common of the style. Alcohol hidden really well. Very level playing field despite differing styles! Red Hill's spring seasonal has just been released. The Temptation is a belgian strong golden ale, think duvel. Provides estery fruit and spice, while delivering 8% of devilish goodness. Like all Red Hill special releases, this promises to be a brilliant offering and is sure to fly out the door. STOCK HAS JUST HIT THE SHELVES AT CLOUDWINE. A pretty good effort from a local. Old fashioned creamy ale malts with subtle metallic / iron notes. Almost has a tannic finish which drives decent length. Could be misplaced as an English bitter. Not bad and a reasonable interpretation of the style. Dark fruits and malts on the nose with cola hints. Similar to taste although the spices, as quoted on the label, become more pronounced. Plenty of dark malts and chocolate. Tails off on the finish. This beer has been all over the shop. Tasted a few months ago it was completely dumb; thick syrupy cola, wholly disappointing. This sitting is better. Although the nose definitely shows sweeter cola characters and malts the palate is comparable dry with a porter-like dry roast note. Some sweetness does persistent and to be honest it remains on the dumb side. Heard through the grapevine that Jeff and Janet (of Jamiesons Brewery) have opened up an Ale House in Clifton Hill. 139 Queens Pde, to be exact. We wish them the best of luck! Their opening lineup includes some ripping brews, some of which will be served by hand pump!! I'm sure frequenters to The Local Taphouse are familiar with the monthly 'Ale Stars' meetings, right... Well for those who aren't its definitely worth a look. On Tuesday 19th August we will be sampling a great range of stouts from home and abroad, matched with the brilliant culinary creations that the local have to offer. Additionally, David Golding of Red Hill brewery will be attending to chat about their Imperial Stout. No doubt it will be a great night! Fairly ho-hum stuff and not really up to the standard that I assume this mob pumps out. It is however brewed at AIB so maybe this explains why this beer is a fairly mundane wit. Fizzy, lager-like body with soft spice character and some wheat malt coming through. Dry finish. Hard to recommend. Solid winter quaffer style. Nose shows a surprising level of malt sweetness at an almost Belgian ale-like intensity. Settles down substantially in the mouth with a dry savoury layer coming through. Not many beers made like this in Australia right now. Not as sweet as expected. Apple and grape fruits to smell but well underpinned with a dirty woody note. Stalky perhaps? Flavours start out quite light but the intensity builds very quickly with acidic citrus fruits, salt and olives, and a kick of alcohol. Good enough but the bubbles version is definitely more my bag. Beer News - "Beer Money"
I received an email from Matt Freeman a while back to give me a heads up on Beer Money, a crime novel he has penned. "A brewery executive has gone missing. Or has he? Joe Abbott is paid by the man's wife with a beer-sodden cheque to find out the truth. In doing so he locks horns with dodgy nightclub owners, a toupeed beer baron, and endless assorted ratbags - plus, of course, a wild pig - all in the twisted pursuit of a stash of missing money. And he has time for a beer or ten along the way." A link to the book can be found at: www.zeus-publications.com/beer_money. Could be a good option for a quite Sunday arvo in front of the fire with a stout in hand. Pours a dark, muddy brown with auburn highlights. Head formation is good, quite a well packed collar with nice lacing. Nose displays great complexity. Dark chocolate and mocha notes present with Madeira cake and some dark berry fruits as well! Palate translates a lot of the same, displaying big brandied characters from the malt and high abv, however it’s supported well by roast coffee, chocolate and dry hop presence. Reminds me a lot of the Sam Smith Taddy Porter, except on steroids!! With the increasing popularity of Imperial Stouts and the like, it's nice to try a really good old school stout. Pours jet black with hints of ruby highlights at the rim. Towering tan coloured head is tightly packed and laces brilliantly. (Head remains substantial till the end of glass!!) Aromas of milky coffee, dry roast and a hint of dark berries. Palate expresses much of the same with the appearance of some brandied characters that complement the hinting dark fruits. Carbonation is noticeably high, which gives the impression of a dryer finish complete with dry hop and highly kilned malt notes. Firstly, I’ve found it hard to wrap my head around the fact that they are genuinely calling this an abbey beer… Ok, so they say its “cellared” beneath a Benedictine monastery in WA… I’m assuming it’s brewed in NSW, like all of the other Malt Shovel beers. So, what makes this an abbey beer? Anyway, onto this particular example.It pours a golden amber and has a crystal clear body. Head is loosely packed and rather fizzy, dissipates in no time. Aromas aren’t too bad, very confectionary like but I suppose they have the general traits about right. Big sherbet notes with quite a substantial amount of spice present, maybe due to the alcohol. Palate has much of the same really. Some citrus rind notes present with a huge clove spice kick from the alcohol. (Seems uncontrolled) Some sweeter malt comes into play but is totally dominated, almost nullified by the alcohol. Its said that imitation is the greatest form of flattery but this just doesn’t do the style justice! Righto, this one has big shoes to fill! (Murrays and Jamieson being the front-runners for the style) Body displays a deep crimson colour, tending to copper and is quite hazy. Sports a rather substantial beige coloured head that persists and laces quite well. Nose is really fragrant, as expected. Shows an abundance of sweet malt, with penetrating stone fruit and piney notes from the rigorous hopping. Palate is full on! (Wouldn’t have it any other way!) Sweet malt introduces some candied fruit and a hint of caramel fudge. Grapefruit and apricot fill out the mid palate before a substantial pine and resin hop presence drive home a long finish, with lingering bitterness. Really impressive! Pours a hazy orange tending to amber with a substantial, nicely packed off white head. Aromas are nice and quite lifted. Sweet malt dominates with tropical fruit nuances prevalent. Palate is quite light and fizzy, (reminds me of wicked elf pale) however still has substantial sweet malt presence and some resiny hop bitterness. All in all a rather approachable interpretation of the APA style. Far more in the soft drink genre than beer but I guess that is not totally unexpected for the style (notwithstanding the 4.2% abv). Lemonade driven nose is quite pleasant. I couldn't help but enjoy the flavours; more lemonade but a nutty / bran-like flavour provided a nice underlay. There is certainly a time and place for beers like this.